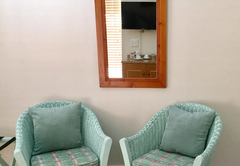 Newlands Homestay is a highly recommended guest house with self catering option, providing accommodation in Newlands for tourists visiting the Southern Suburbs region. 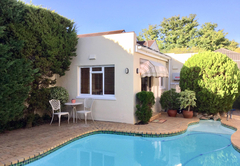 Newlands Homestay offers luxury double and twin-bedded accommodation. Both rooms have private entrances, accessed from a tranquil & secluded garden. 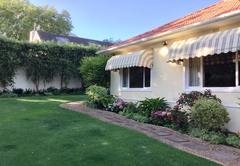 Located in the heart of Hiddingh Estate, Newlands, bed & breakfast & self catering options are offered. Guests will enjoy the homely environment. 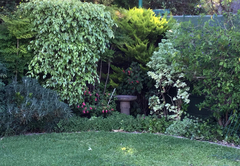 Newlands Homestay B&B has a peaceful ambience and the house is located in a quiet oak-tree lined avenue in Newlands upper. Close to Table Mountain & Kirstenbosch Botanical Gardens. It is within walking distance of various tourist attractions and amenities. 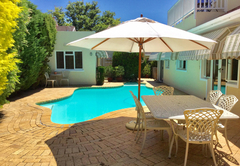 Newlands Homestay B&B is ideally situated for tourists planning a holiday to Cape Town, executives, sports enthusiasts & academics. 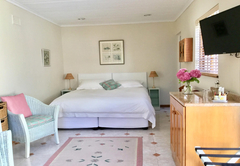 Newlands Homestay offers two well-appointed & comfortably furnished en-suite rooms, with quality bedding. 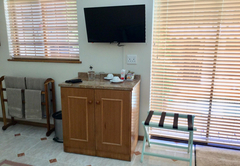 Each room has a well-equipped kitchenette with microwave, bar fridge, kettle & toaster. Crockery & cutlery are provided on request. 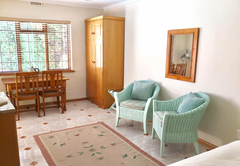 The Pool Room is a spacious self-contained cottage for 2– 3 persons with private entrance. Guests will enjoy the view of the swimming pool & garden. The Annexe is a well-appointed room for 2 persons. The room has its own private entrance & garden. Patio furniture is provided for the exclusive use of our guests. 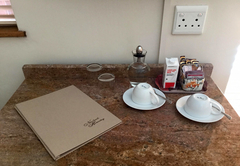 A continental breakfast is available on request but bookings can be made on a room only or bed & breakfast basis. 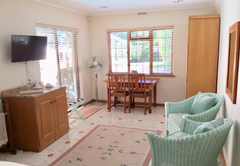 The Pool Room is a spacious self-contained cottage for 2 persons with private entrance. Guests will enjoy the view of the swimming pool & garden. We enjoyed our stay and will be back. Great hosts. 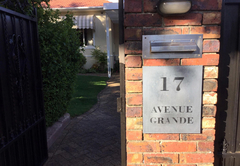 We had a lovely weeks stay at Newlands Homestay whilst visiting Cape Town recently . Stanley and Wendy were very good hosts and we very quickly felt at home . The pool room was delightful and secluded and an easy walk to some good eating places . The room was well equipped with a microwave and fridge and we were even able to have our laundry done before we left . Thanks for making our stay so comfortable . Give our love to Bella and Donna !!! !